People and marketers love email. There is really no debate about its effectiveness or ability to grab people’s attention, generate more leads, and boost sales for a business. It has been proven time and time again, but what has also been proven is that it needs to be done correctly in order for it to work. With this in mind, the art of email marketing is constantly evolving. People are developing tips and techniques to make it as an effective form of communication as possible. If you want to be successful at impacting your subscriber list, you need to be on top of your strategy. For those who are still developing their strategy, here are a few ways to climb to the top. The spam filter is the worst enemy of the email marketer and it must be avoided at all costs. People rarely check their spam boxes for missed emails and if you end up there, your email will probably never be read. 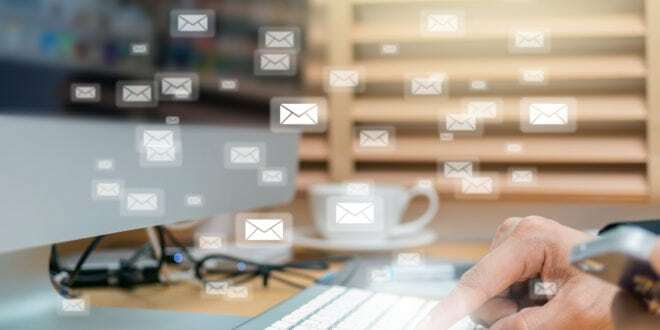 To this end, Rick Kranz, contributor to Business2Community, shares a few ways that can help ensure you remain in the inbox where your email belongs. “Take out any words or phrases that look like something a cheerleader in an infomercial would say. Cut out the multiple exclamation marks. No ALL CAPS. No “BEST DEAL EVER!!!! !” Kranz recommends. “Be creative with your fonts, but not too creative. Obscure, specialty fonts don’t translate well across multiple email platforms. Your design creativity – with the stunning lettering – can be expressed in the images you include (just remember to compress them first so the image file isn’t too big),” Kranz says. “Have an annual purge…of email addresses on your list that haven’t engaged with any of your emails in a long time. Having a high volume of inactive email accounts on your list will red flag you to spam filters. Run the last chance, highly motivating campaign to this segment of your list and then purge the non-responders. A clean, up-to-date list is your greatest asset,” Kranz says. Get Attention Where It Matters! From subject lines to preview text, the successful email marketer knows how to utilize every point to grab attention. Here are two pointers from Kranz that can make a big difference. “Clickbait is dead. The days of teaser email subject lines is over. The subject lines that get the best click rates are those that are clear, concise, and descriptive. Subject lines don’t have to make the case that reading this email will change the reader’s life, just click to find out how!! If the email is your quarterly newsletter – say so. If the email is a 24-hour flash sale – say so,” Kranz recommends. “Personalize the subject line. This may include using the recipient’s name, but you can also personalize it in other ways. If the email is promoting a local event, indicate that. If you’re sending an email to people who spent a lot of time reading a certain category of posts on your blog, allude to that topic – as long as your email is touching on it as well,” Kranz says.